To say that this LMDES event was one for the history books would be a complete and utter understatement. 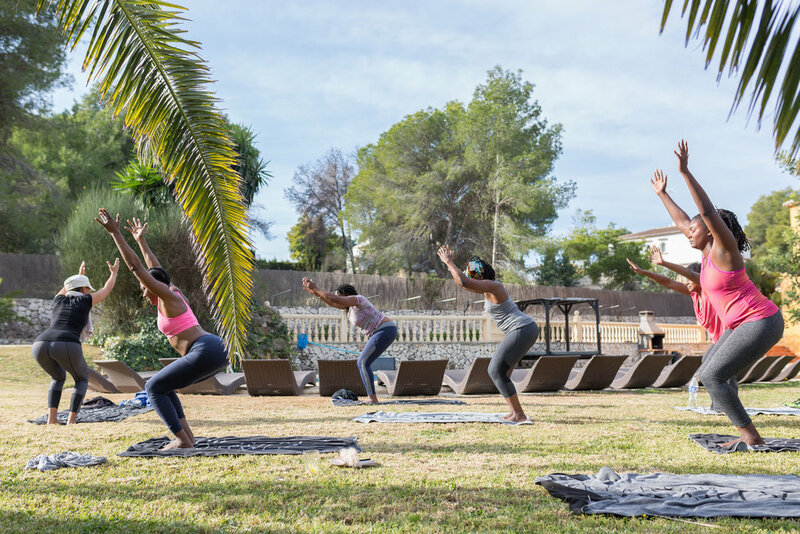 The LMDES Getaway in Xàbia, Spain was not only inspirational, but transformative for everyone involved! The idea of a retreat sparked from a genuine desire to foster community both online and offline. 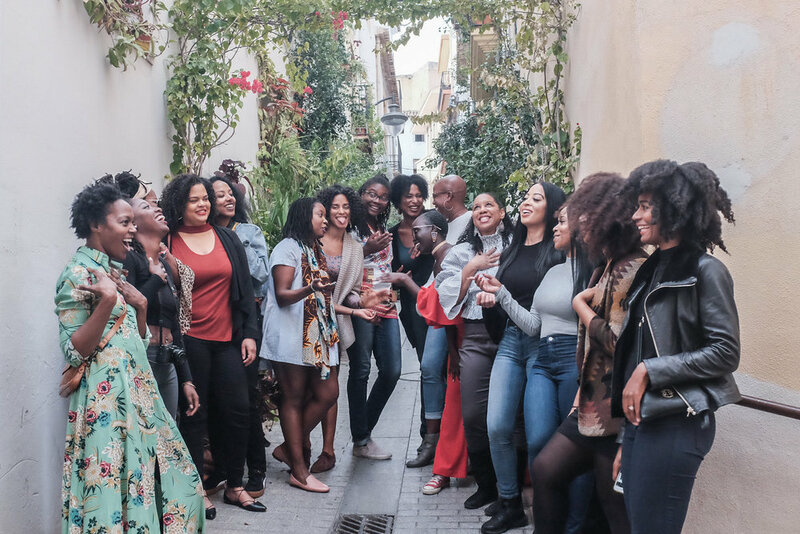 Although we have had many opportunites to share with our LMDES Tribe through smaller, one-day events like Sake and Vibe, the networking cocktail at Nanai and the Black Girl Magic Brunch in Madrid and of course, the all-day career building Thrive Conference, we simply wanted to take it one step further. What is an LMDES Getaway exactly? And how does it work? 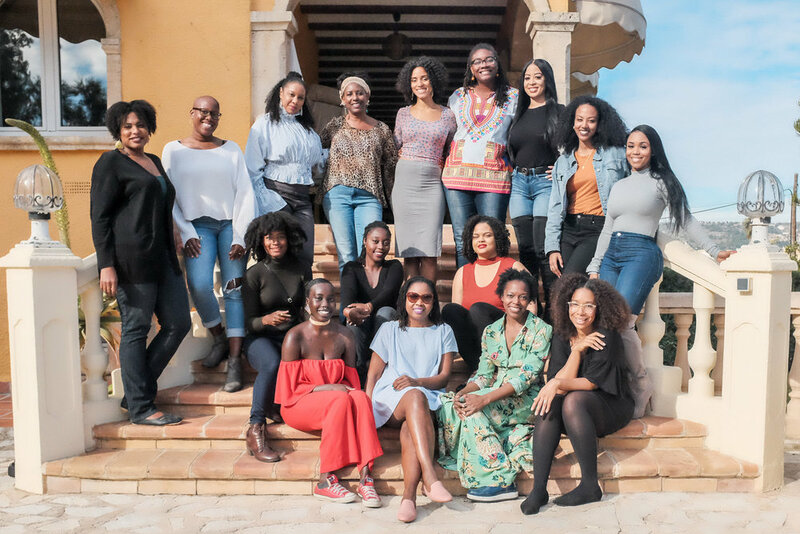 It's a week-long escape in Spain, and in this case Xàbia near Valencia and Alicante, filled with personal development workshops on self-care, vision boarding and manifestation, and healthy eating as well as Spanish cooking classes and private wine tastings. We announced the event and opened applications to the public, and in 48 hours, we had received over 100 applications from WOC from all over the world. We thoroughly read through all the applications because the entire idea is to curate an experience, not just a trip. We welcomed women from Washington, DC, Miami, California, New York, Alaska, Belgium, and even a couple expats based in the UK and Namibia! As for age, the range was wide from 24 to 60! This ensured that not only would everyone have some wisdom to offer, they'd also have lots to learn and share! First off, the villa was absolutely incredible! 4-floors, an industrial-sized kitchen, a pool surrounded by palm trees and lemon trees, and lots of outdoor spaces for reflection, naps, and of course self-reflection! We were joined by Sarah Somian, a trained holistic health specialist, founder of Deliciously Vibrant, who led not one, but three very unique and helpful workshops. The first one had to do with creating a morning routine that starts your day in the best, most productive way possible. Next, she led a guided group meditation. The second workshop was all about healthy, complete and easy breakfast options where she shared a variety of recipes to get your day started right! 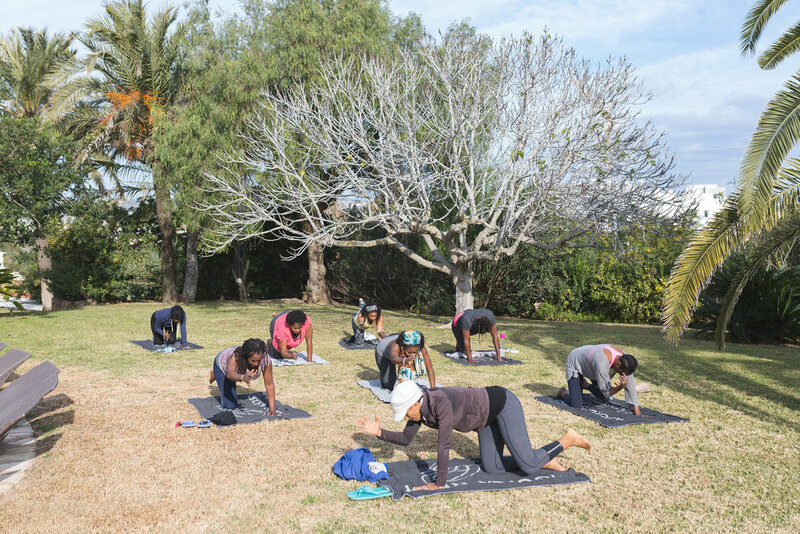 Lastly, we took full advantage of all the outdoor spaces, and had a poolside group yoga and movement class. The women truly enjoyed, and ate until our hearts were content! There's something so magical about how sharing a meal can turn strangers into family! 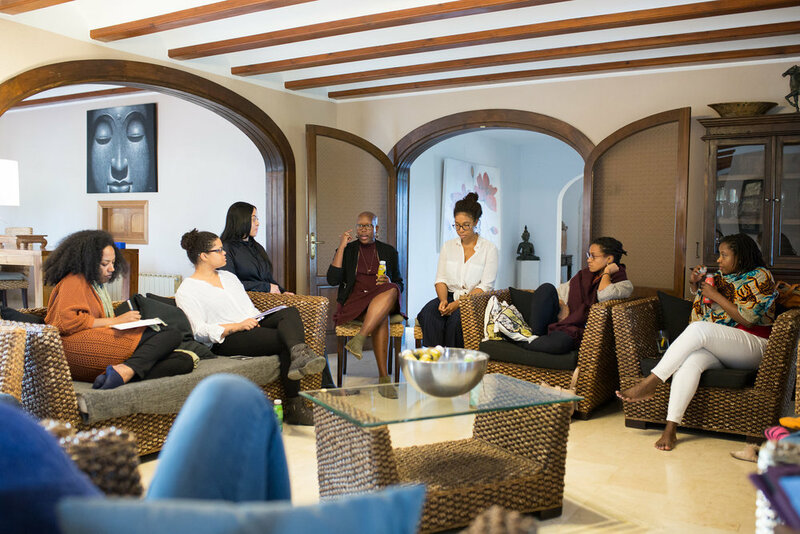 By the end of the retreat, many of the women felt the longing to finally go after what they want and make the changes they needed, to start living this new lifestyle. We were also joined by wine sommelier Nicole Pearson of Nicole Angela Travel and Taste. Not only did the wine tasting event begin with a group Cava toast, she took us on a sensory journey through three different wines! 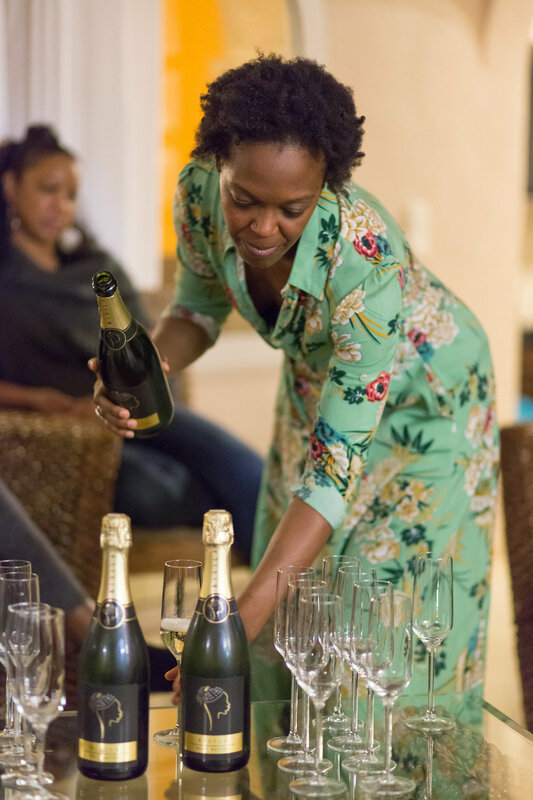 Nicole went above and beyond to even bring a special Cava which was inspired by a woman of color. There was music, dancing, and lots of laughter. 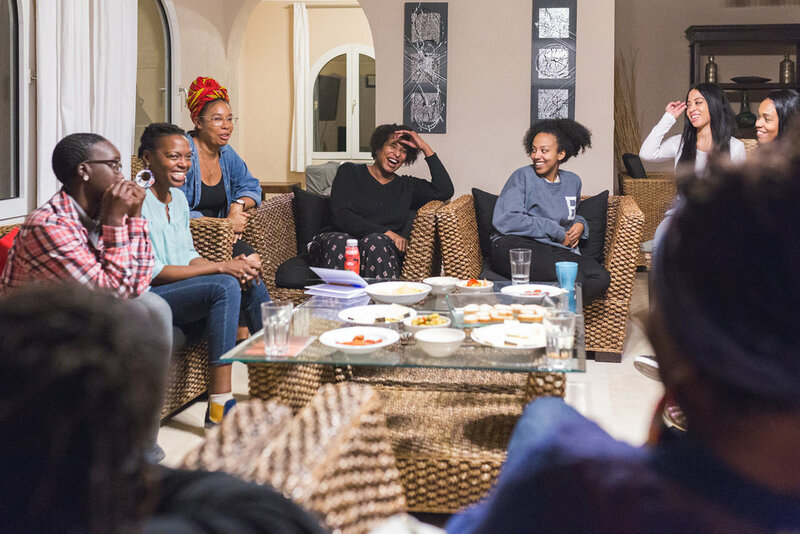 There's nothing like putting almost 20 Black women in a room with great wine, amazing vibes, and a little Prince thrown in for ambiance, am I right? On the last evening, we joined together to do some reflection on our lessons and growth in the past year. We also took time to think about what it is that we want for our lives in 2018. 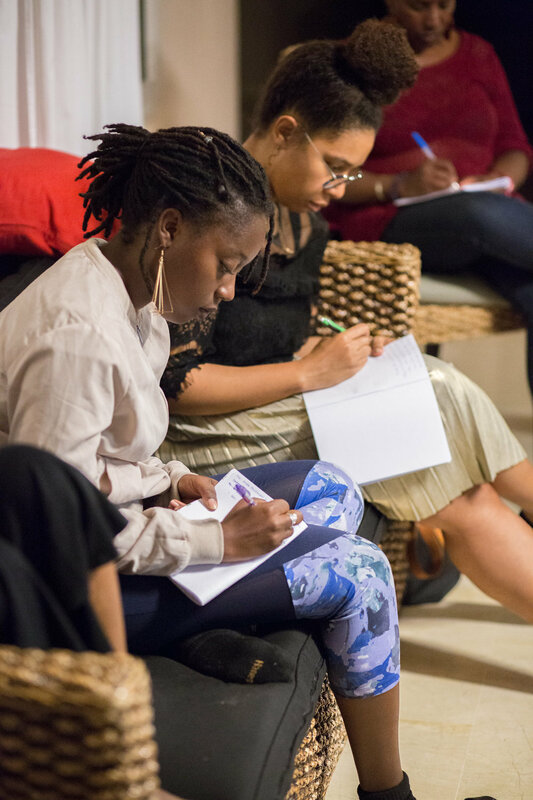 This journaling and vision boarding session, lead to a lot of open and vulnerable conversations, as well as meaningful epiphanies throughout the group. Last but not least, throughout the week there was tons of free time to explore all of the beauty that Javea has to offer. Whether it was with group lunches, celebrating birthdays, going to Christmas markets or hiking to see the beautiful views... there were plenty of moments to stop and take it all in. Throughout the entire week, we were fortunate and honored to have the expertise of lifestyle photographer Tanya Weekes capturing all of the magic! She joined us for all the special moments from group dinners, to impromptu dance classes, to hikes along the beach! We couldn't have done this without the support of the LMDES community! Thank you for always believing in the mission to bring like-minded WOC together in a safe, and welcoming space to grow, create, and thrive! Sabina Alcaraz gave us the perfect additions to the retreat with these custom notebooks and artisanal turrón. Thank you to our generous sponsors Ametis cosmetics, a Black-owned Paris-based cosmetic line dedicated to the specific needs and concerns of Black and Brown skin complexions. 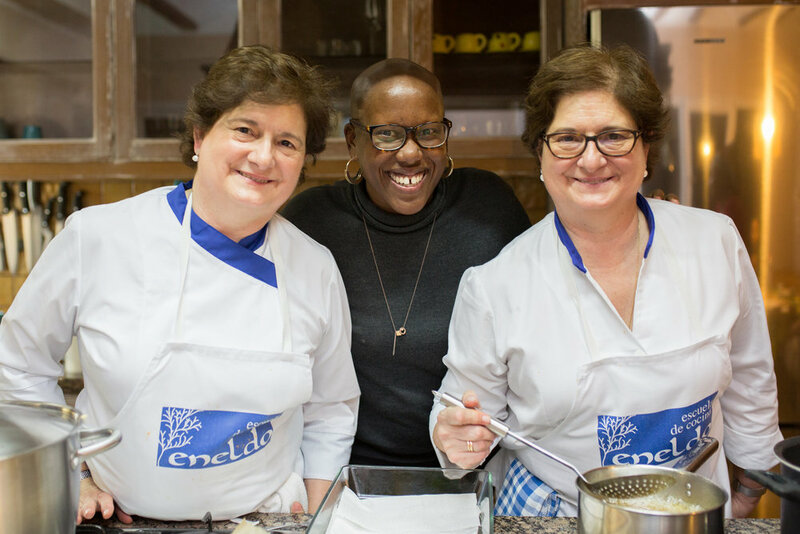 Also, a big gracias to Cocina Eneldo for the lovely and tasty cooking class! Thank you to Chosan, a UK-based beverage company that produces a variety of hibiscus waters which definitely kept us hydrated! A big thank you to Tanya Weekes, Sarah Somian and Nicole Pearson for being remarkable and talented additions to the LMDES Getaway! Thank you also to the women who shared, danced, cried and laughed throughout this past week. You're all so special to us! Are you interested in attending the next LMDES Getaway? Make sure that you're signed up for our newsletter since that's where we announce all the events first! Sign up to stay up-to-date with all LMDES announcements and general tips + inspo!